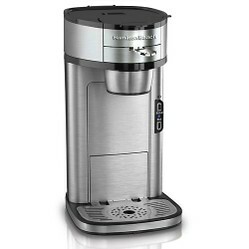 Looking for the best single cup coffee maker? This article looks at several models that will save you money, yet work well. Looking For Good Coffee Brewers For a Single Cup? With the price of coffee climbing through the roof, people are looking for cheaper alternatives to making coffee at home. Coffee pots that make a full pot end up wasting half the coffee in the pot. You could buy a Keurig machine, but who wants to spend over $100.00 on a single cup coffee maker AND have to buy expensive coffee to go along with it? There are several lower-cost coffee makers on the market that will let you enjoy your morning cup of coffee and save you money. You don't have to go out and spend a lot of income on a coffee machine that is only going to make one cup at a time. here are some of the great brewers that will make your morning brew. 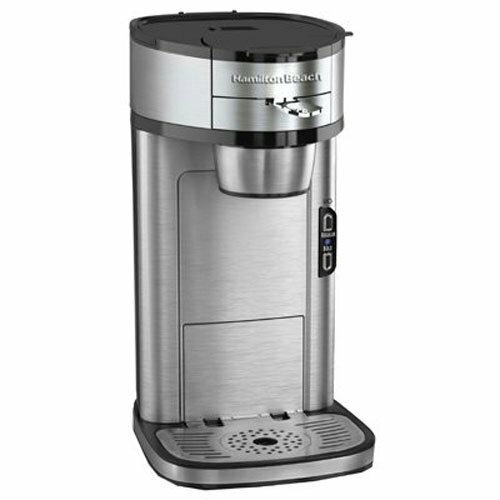 This Hamilton Beach Coffee maker avoids all the fancy single-cup brewing packs that cost you so much money and instead makes your coffee from the grounds you already have at home. You don’t need any special filters for this machine. Two metal scoops come with the machine so you’ll have the perfect cup every time. It takes around 1.5 minutes to brew the average 14oz cup with the coffee maker. The machine also ensures that your coffee is hot when it comes out of the brewer unlike other devices where the coffee isn’t as hot. This machine is made out of stainless steel so it’s built to last you a long time. 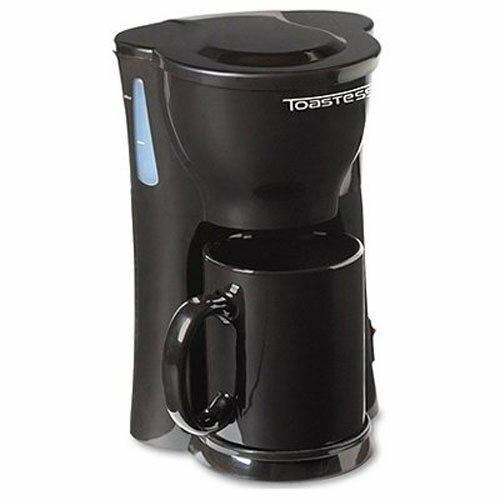 This Tostess personal coffee maker will give you one cup at a time and it has a water level indicator. This brewer will create coffee for several different mug sizes and you can brew just hot water if you like for tea and other beverages. The device comes with a 10-ounce mug or you can use your own. There’s a two year limited warranty on the product. This small coffee maker won’t take up much room on your countertop and makes an excellent cup of coffee without all the annoying filters or single-cup expensive coffee singles on the market. 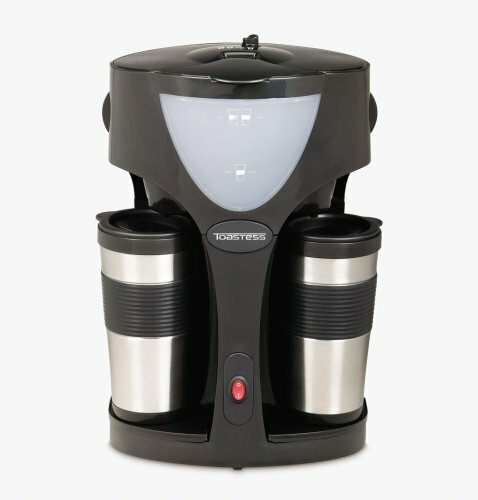 This Tostess brewing device will make two cups of coffee with one on each side. The device comes with two brewing chambers and two nylon coffee filters. There’s an on/off indicator light and a water level window so you can see how your coffee is doing. This brewer comes with two stainless steel coffee travel mugs so you can get your coffee and go. This brewer has a two year limited warranty. 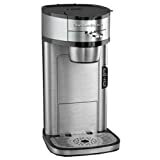 Enjoy your coffee with one of these single cup coffee makers and don't be pressured to buy one of the big expensive single-cup "designer" coffee makers. In the end you'll end up spending big dollars on not only the coffee machine but the single cup servings that these machines require. You can buy plastic filters for these expensive machines but often they break or don't make coffee as well as the single packages do. A good single-cup brewer with a regular filter is all you really need to enjoy your morning coffee unless you really want to spend big dollars on a coffee machine. Save some money and go with one of these excellent single sup brewers that won't break your bank account.